The generation has similarities to Koch's curve, but instead of putting triangles on triangles, I put circles on top of circles. where a is the current angle, r is the radius if the original circle, n is the level of the fractal and P is the position of the next point. 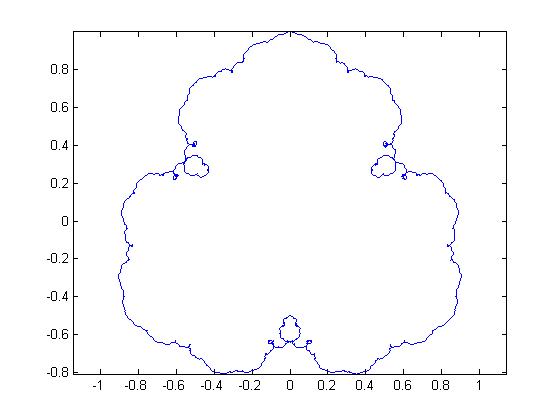 I looked for hours on the internet, but I couldn't find a similar fractal to this. Does this have a name or is it documented? This is not an actual answer, but it's too long for a comment. Not the answer you're looking for? Browse other questions tagged fractals or ask your own question. Is this a valid example of a non-euclidean Sierpinski attractor?